Aren't you glad that after a few months of darkness, the beginning of the month we notice February is shedding more light onto the days? Bulbs are peeking out of the ground; some extra early ones are blooming. The garden is coming back to life! Already we are yearning to be outside on a sunny spring day, sitting on the deck with a hot steaming cup of caffeine, relaxed, reading the paper, and listening to the sounds of birds. Meanwhile back in reality land, we just passed the midway point between winter solstice and spring equinox. Brrr, it's cold. A warm spring day is months out, and we cannot get there soon enough. I think it's time to revolt and start gardening anyway, in full weather denial, defying the elements — mostly indoors. One way to defy winter's slow journey to spring is to sow some microgreens indoors. Instead of planting seedlings in the ground, start them in pots and organic potting soil. In a couple of weeks, you have sprouted seedlings giving you their true leaves. Cut off their fresh, tasty heads, wash, and put them in salads, soups or stir-fry. Yum! Growing microgreens from many edible plants indoors is an easy and fast way to go from seed to table, and doesn't require any special equipment. If you are new to starting plants from seed, this is an excellent place to start! Growing microgreens is also a fun activity for children — at least for a few minutes. In the dead of winter, the action of sowing seed and harvesting them after a few weeks helps you curb your need to garden — at least for a few hours. Meanwhile outside in the garden, the time between President's Day and St. Patrick's Day is an excellent way to remember to sow your edible peas and inedible sweet peas, outdoors. It's a great way to get outside and scratch in the dirt. Remember to protect your peas from the black marauding crows by covering the newly planted seeds with a frost cloth. Leave covers on the seedlings until they are up high enough where the crows are no longer interested in pulling them out of the ground. Another way to defy winter is to take an annual pilgrimage over to the Northwest Flower & Garden Show, at the Washington State Convention Center in Seattle. 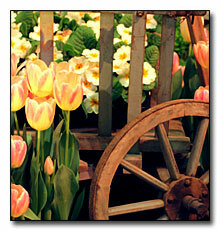 Only a hop, skip, or ferryboat ride away, the garden show gives our region a kick-start to spring. Where in the Northwest can you take a winter walk without your coat and stroll through 20 gardens overflowing with flowers, fronds, and fragrances? This is the time to gather "intel" for your new garden projects, spy on the latest new plants to give your garden a fresh look, or solve a privacy problem. The best garden designers show you how to put together a charming small space that gives maximum visual impact. Containers stuffed to overflowing with plant life, outdoor furniture, gadgets, tools, garden art, you name it, if it goes in the garden, you'll most likely find it within the walls of the convention center during the show. It's an event for inspiration. Sometimes, I hear people complain that the display gardens are not practical for the home garden. Yes, some elements may not be useful in your garden; however, I love the creativity the designs inspire. It's a good time to take many notes, and photograph even more pictures of the gardens you appreciate. Also if you hire a garden designer, your photos help them see your style that they can build on when they create the garden of your dreams. If you are addicted to reality shows, "Garden Wars Arena" is where you need to be! "Garden Wars" is hosted by Joe Lamp'l of PBS "Growing a Greener World." Every day at the show, local personalities team up with a garden expert to create 10-by-10-foot gardens. Two teams compete using the same plant and hardscape materials for each garden. Any dirt slung here has to be better and more entertaining than any episode of the Kardashians! Then there are the seminars — a cornucopia of garden information packed into every day. Garden experts lead one hundred, 45-minute presentations, or hour-long DIY demonstrations. There are enough topics to satisfy any garden lover. All you need to do is watch and listen, and be ready for inspiration to strike. Let the garden season begin! 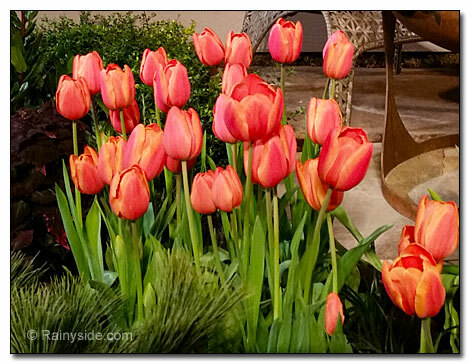 For dates, time, and more information visit the Northwest Flower & Garden Festival web page. 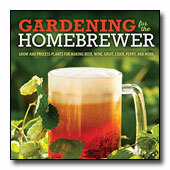 Originally written for Debbie's garden column Garden Life in the Kitsap Weekly.